Microsoft and Yahoo has struck a 10 year search deal. As a part of this deal Yahoo search engine will be replaced by Microsoft’s rising star Bing. 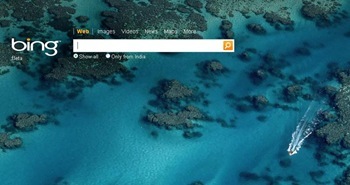 Ever since its launch, Bing has created quite a stir. It has gained significant market share which apparently is coming from Yahoo and not Google. As a part of the deal, Yahoo will also sell ads of both the Microsoft and Yahoo. This would mean customers don’t have to 2 different companies to publish their ads but can just go to one. This also means an increased inventory. Google got into the Internet search ad space fairly quickly and got popular with its text ads. It commands more than 70% of the market share. With that kind of market share the ad inventory also soared for Google. Many publishers do not have many options other than Google because it is the only service which will display relevant ads. For advertisers Google means greater exposure. Now the publishers and companies have one more option. A Yahoo-Microsoft combine. With the new deal and Bing powering yahoo searches, together they have a real chance at Google. We have seen a flurry of search engines and computational engines but none were close to what Google is. Even Yahoo+Bing is not close to Google. But it is the real chance and probably the only chance of challenging Google’s search dominance. Wealth was transferred from Yahoo stock to Microsoft stock. In the short-term Yahoo might feel at loss but neither Yahoo nor Microsoft had any real chance at the search engine market and Google. I guess neither Microsoft nor Yahoo should worry about the new deal because it is a win-win in the long-term for both the companies. The only company that needs to worry is Google. PS : There was a rumor that Bing stands for But its not Google. Would that change to But its Yahoo now? it might eat into Google’s market share, but wont cause a major scare. Google built up its consumer base over a period of time. If you ask me, i will not switch to Bing even if it does give me results better than Google search. Simply because i dont trust Microsoft. Period. Not that Google is a saint, they also invade on my privacy, but i still prefer to remain with the lesser evil. There are some things that Microsoft has no expertise on, no matter its financial muscle. It better stick to making bloated Operating Systems. That’s what its good at. Microsoft+yahoo are still 2-3 years behind Google. When you can attract the best talent on the planet, you can do wonders. The step is definetely in line with the philosphy, “if u cant beat them, join them” to compete with a bigger adversary. The deal sure looks like a win-win for both Yahoo and Microsoft, but the harsh truth is that Google is the market leader by huge margin.